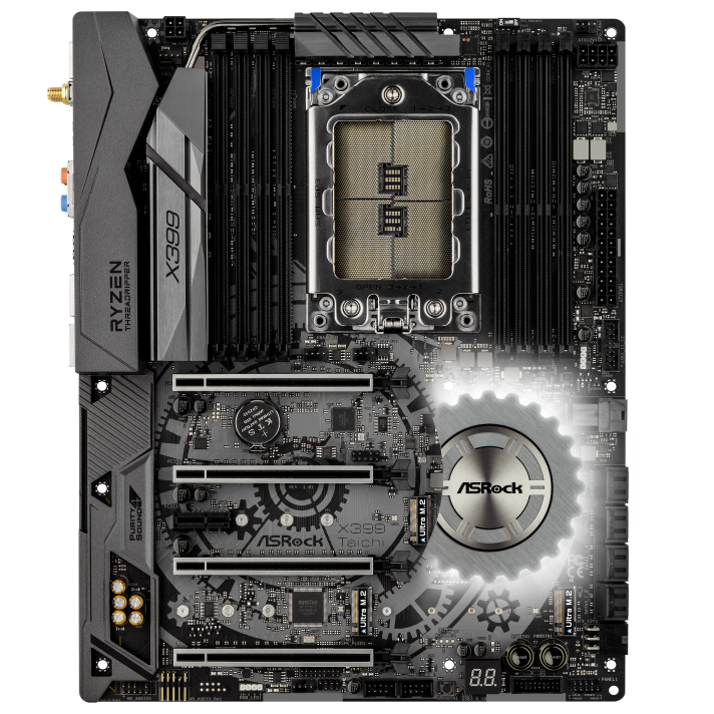 This thread is all about discussing the VRMs on X399 motherboards. Thanks! But handle lots of information in one post in this forum is quite hard IMO. 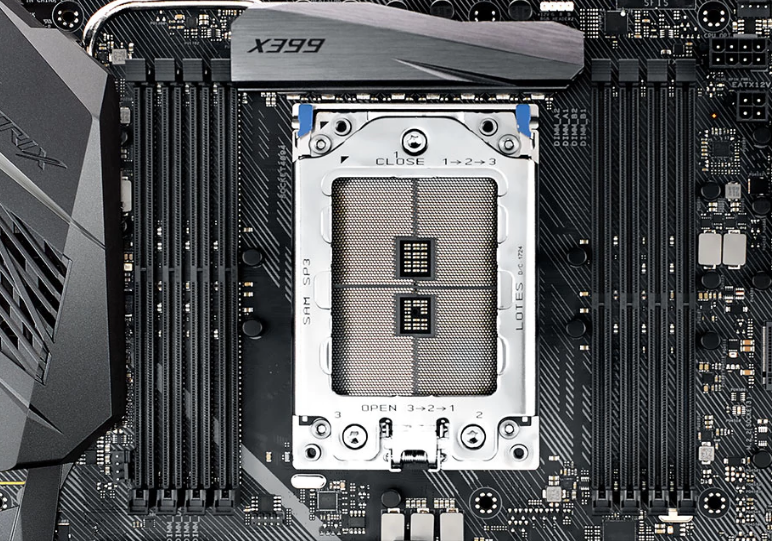 If there's so much information like in the X299 thread there isn't much of a chance to keep them looking organized, even this post looked ways better in the preview than now. Why should the FETs heat up significantly more due to the distance between them and the power plugs? The traces and landings might get a little bit hotter but that shouldn't affect the VRM FETs a lot IMHO. Edit: Btw, is anybody able to help me out with the different VCCs for TR4? Can't find any offical stuff from AMD about that. But MSI is using a IR35201 again so most likely it'll be SVI2-based like AM4 with one CPU VCC and one SoC VCC. On lots of boards I do also see three more buck converter phases besides those under the large heatsink and the two DRAM converters (e.g. ASUS Zenith and MSI Gaming Pro Carbon). These could be the SoC phases. Or what do you guys think? 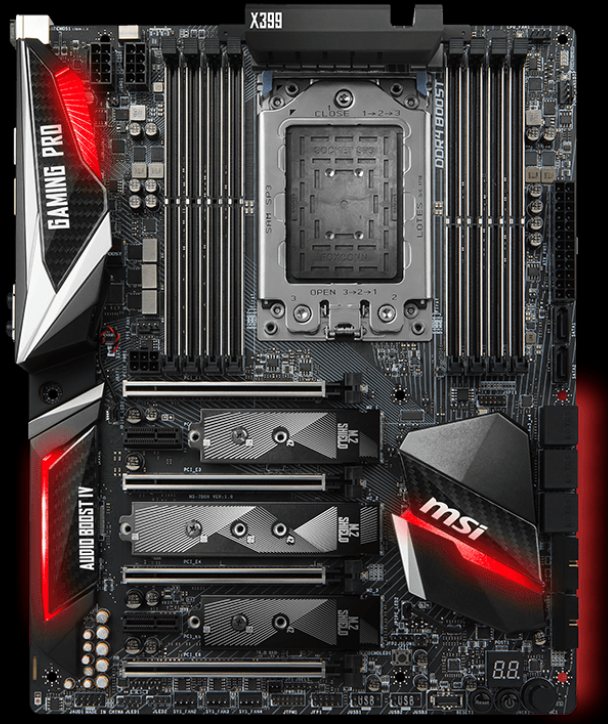 Has anyone seen the MSI X399 Gaming Pro Carbon? 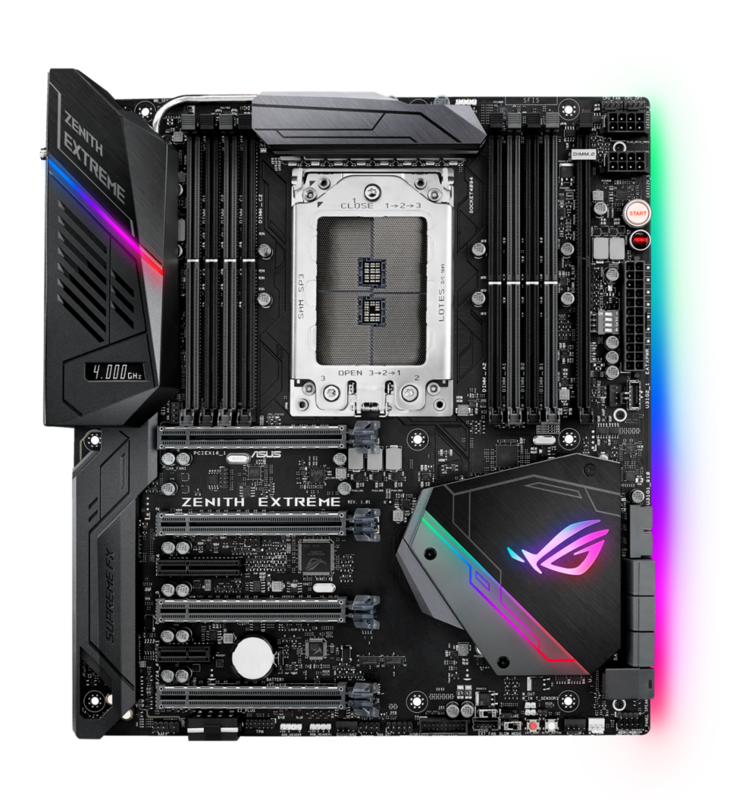 The heatisinks look like they have learned from X299, although X399 probably won't have much more than say, 2.1x the power draw of a Ryzen 8 core at equal clocks. By contrast, note the insane power draw of Skylake E versus Kaby Lake. Of course note that to get 4.7 GHz, on X299, the 10 core has to apply 100 mV more voltage just to get the same clock. Note the 2 8-pin CPU power cables and the CPU heatsink. 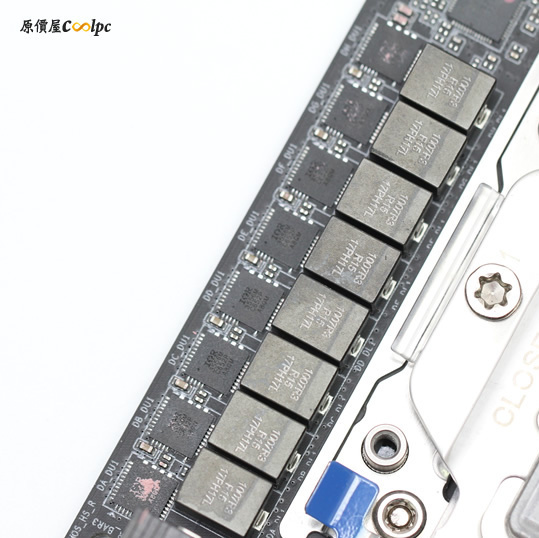 Also note that 6 pin PCIe power cable right above the first PCIe slot - that's extra power for if you run many GPUs. 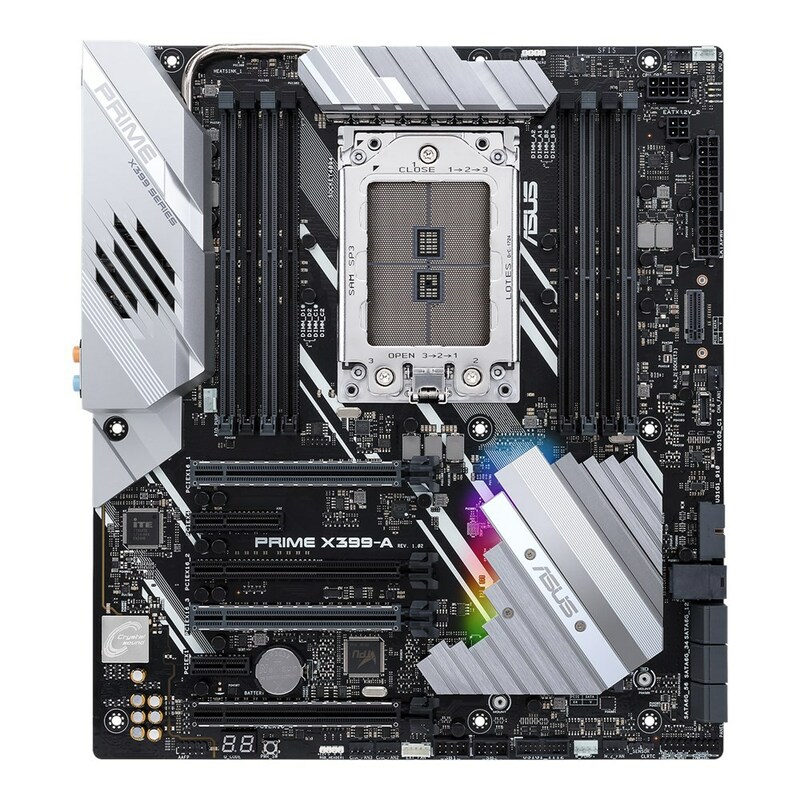 The X370 XPower was a letdown, but this might be a worthy board. 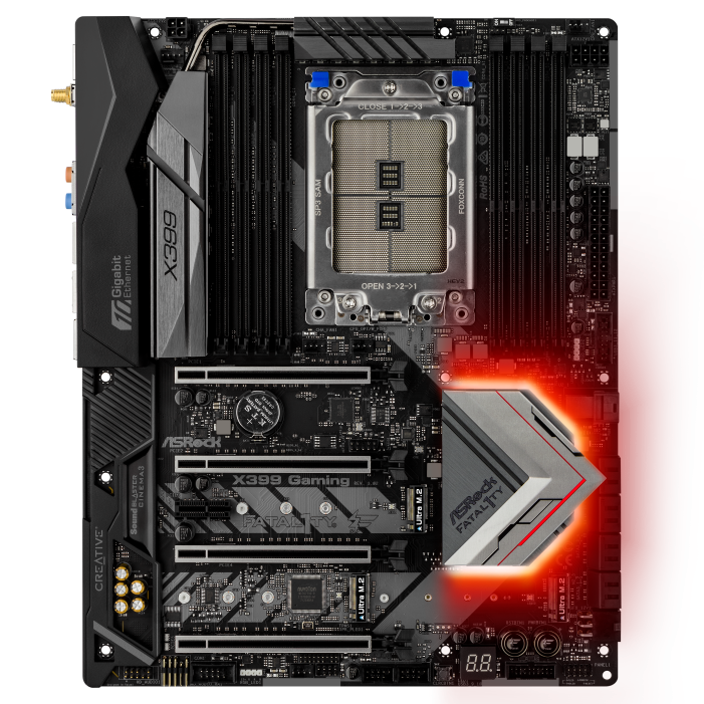 I actually like the look of this board - I'm wondering if there will be an X399 Godlike. 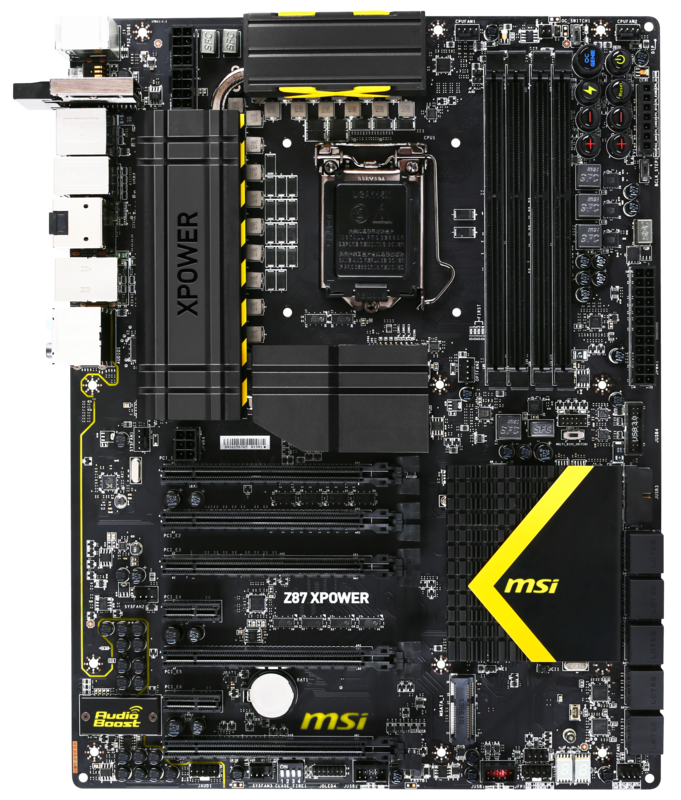 Good on MSI though for putting what looks like a decent heatsink on. 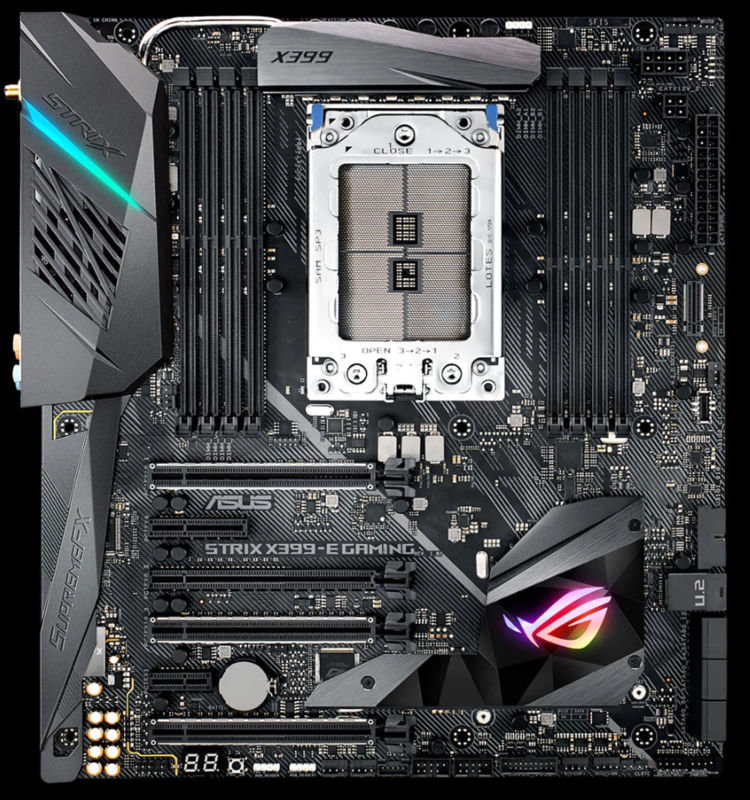 Fun observation: Asus is the only company that moved their socket a bit lower so that the mounting hole doesn't mean losing a phase. Unfortunately, Asus is also the company that is only giving us 8 phases. That's the unfortunate part IMO. I think there are a lot of people, were it possible to get a 4 GHz @ 32 core OC. That would truly be "Epyc". 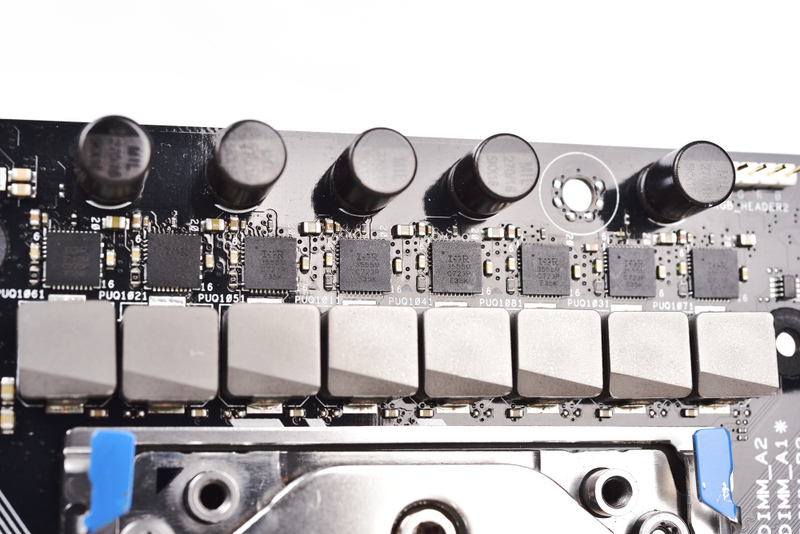 Maybe if AMD offereed it partly gimped - 32 cores, but with 4 rather than 8 channels and still 64 rather than 128 PCie lanes. 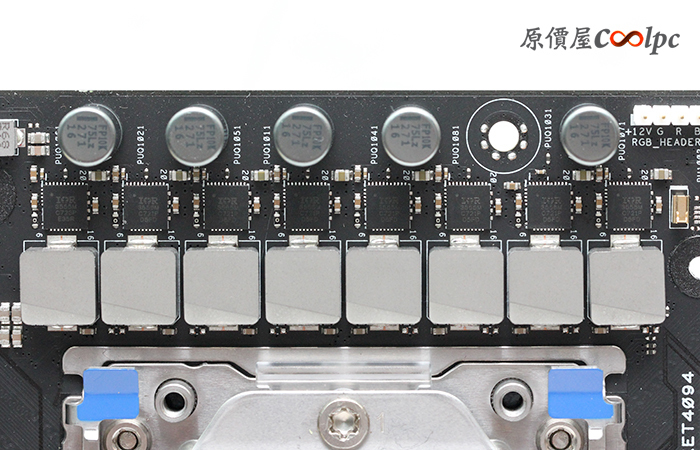 But yeah to use all of Epyc, we would be looking at a 128 PCIe lane, 8 channel board. Tons of traces underneath. Hmm ... assuming 10 phases @ 60A per phase, that should be adequate. 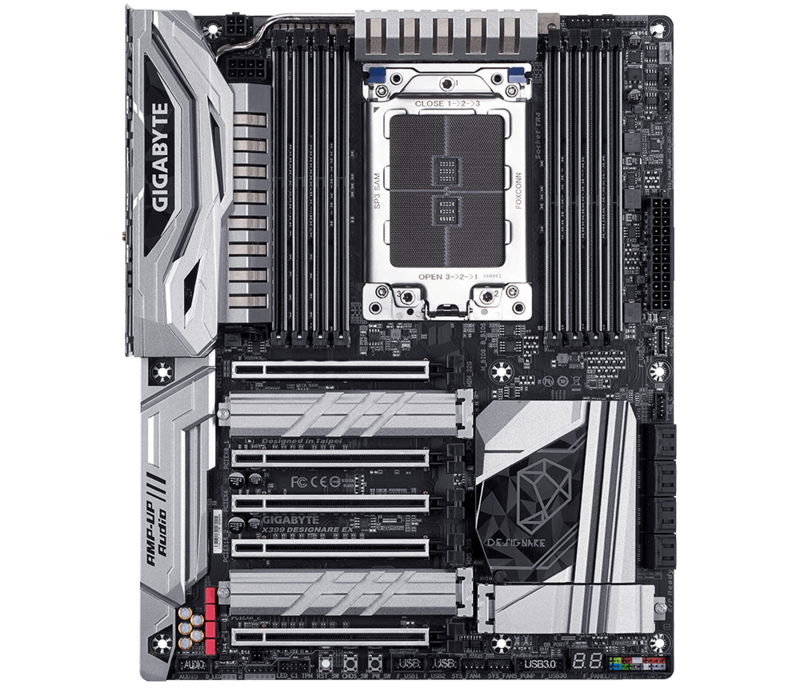 840W, assuming 1.4V for Threadripper. @The Stilt, is there any reason to doubt that the 16 core TR won't be more than say, 2.1x that of 8 core Ryzen,if both are at the same clock? It's just 2 Zeppelin dies and the IO. Certainly it won't be as crazy as that 7900X. I have serious doubts about how far the 18 core Intel will go. Sure it is still the "money not object" CPU, but it's got limits too. 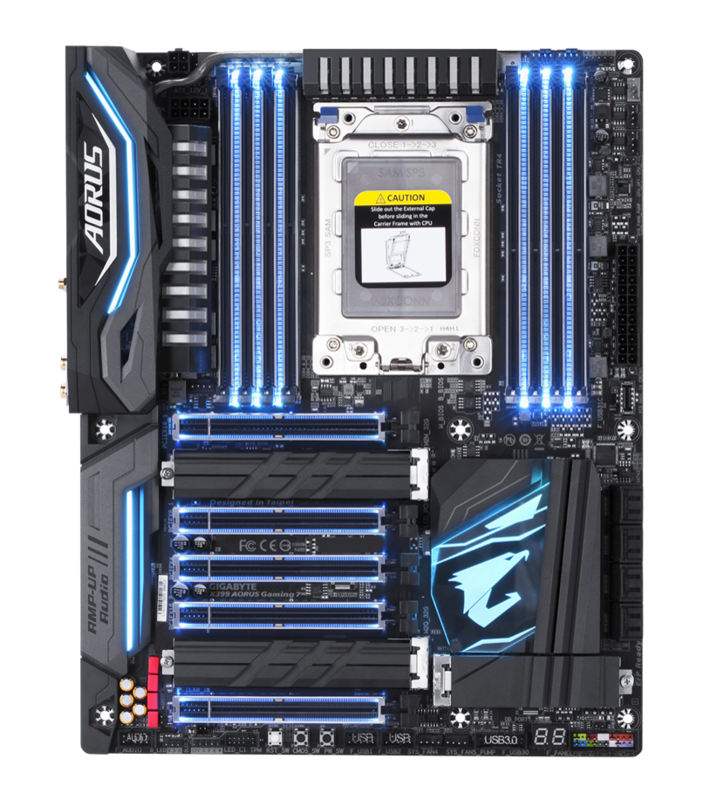 What we really need is a 24 phase XL ATX board. 24x Fairchild FDMF5823DC 55A or 24x Intersil ISL99227 60A should do the job. Pair with a 60A choke in both cases. Half the mosfets are underneath the board. That would in theory leave us with 1320A for the 55A and 1440A for the 60A Mosfet. 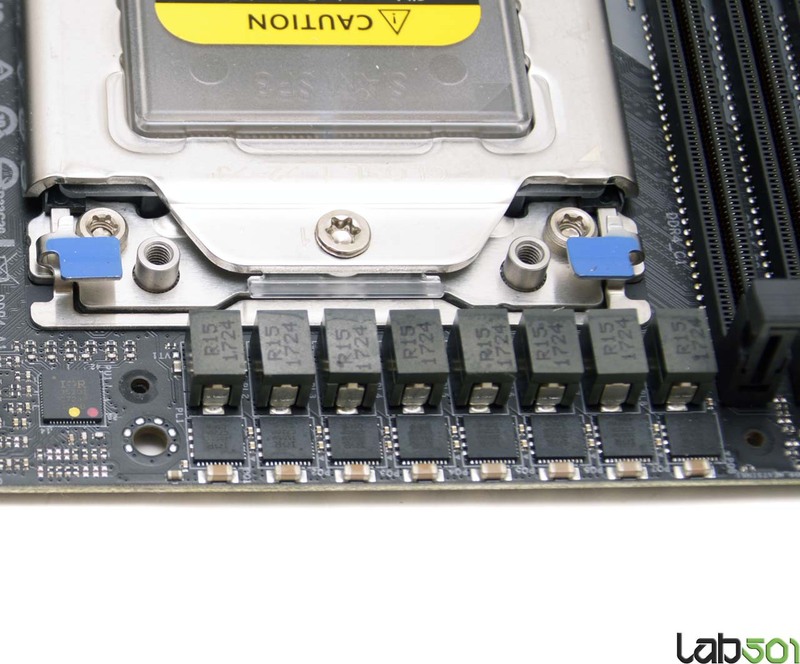 With such a big socket and 8 DIMM slots, board space is at a premium. We may need 12 or more PCB layers too. I'm wondering if 345.4mm x 330 mm (same as eATX) might be needed for the boards that need extra room. 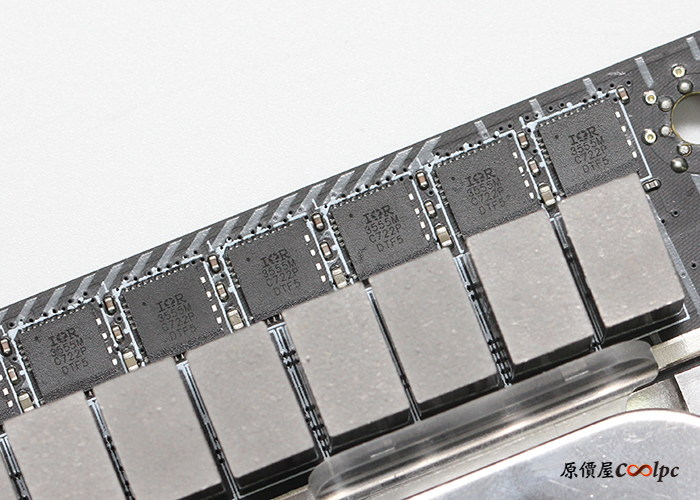 Certainly, it would offer the opportunity for more DIMMs - if Epyc were released on 1 socket, we'd want 16 DIMMs. 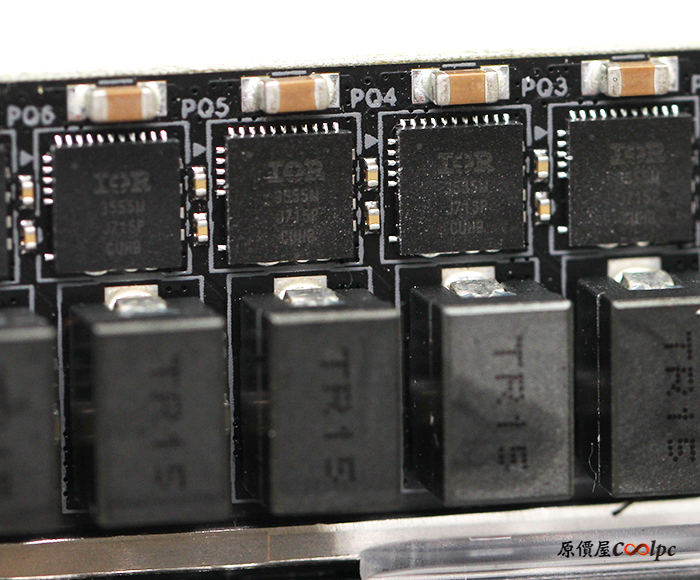 Maybe we'd also want 2 PCIe 8 pin set aside for CPU power as well. So 2 CPU power + 2 PCIe power connectors to CPU.